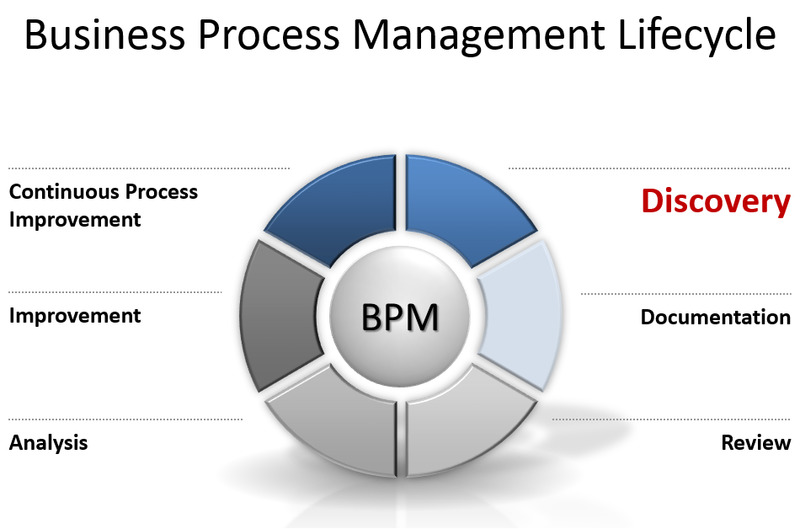 Once a process has been documented it’s time to see what can be improved. With a huge array of methods in the marketplace, Six Sigma, Lean and many others, determining a consistent way of ensuring your processes are reviewed is crucial. 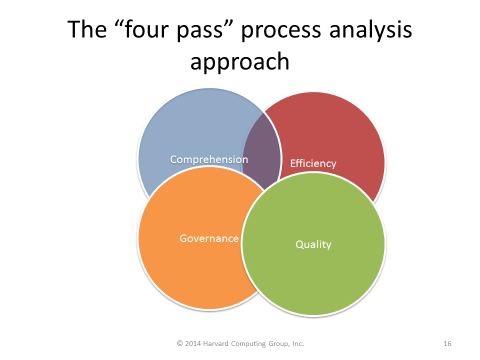 HCG has developed and used a four pass system of analysis simplifying the means to review and analyze areas in processes which can easily be improved. Used on hundreds of projects, HCG also offers training on this method, on-line and onsite to ensure all members of your project will apply this consistent and simple approach to all processes documented. HCG consultants are experts in process documentation and improvement. Our teams use a proven framework used on hundreds of projects to ensure consistent affordable results emerge. Driving risk out of complex projects and incresing potential ROI and quality returns on programs. 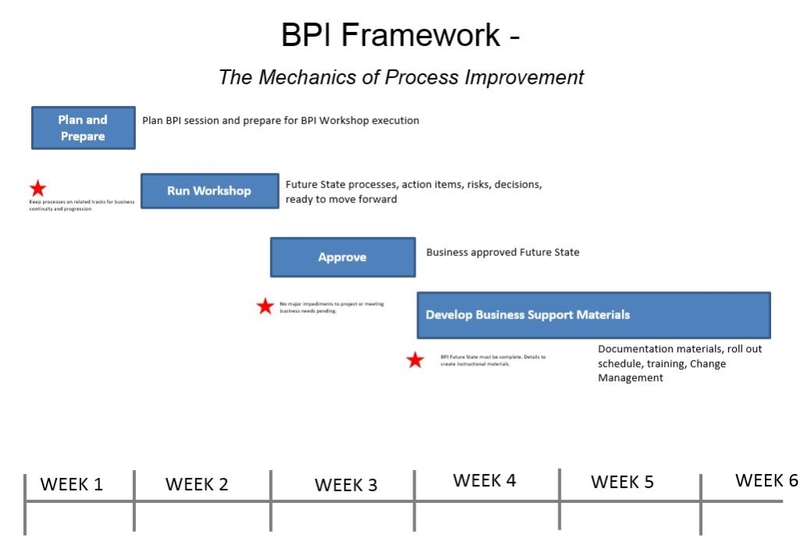 Our proven Business Process Improvement methodogy and framework is easily adjustable for your process improvement project. We can adjust each element of the project approach to best meet your needs, allowing for analysis to occur during workshops as well and an template based QA system making it simple to ensure consistency and produce measured results for your project. ERP systems. 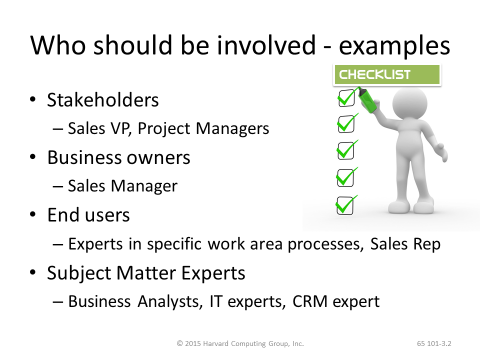 HCG provides a ready to use best practice framework allowing business owners, stakeholders, IT staff and Subject Matter Experts to create process maps with ALL the data they need to deploy the new processes, including use-cases, training materials and instructional materials for deployment. Project management. All projects have a huge process component, but often that is covered by deadlines and crisis points causing us to miss the key points of failure; how we are running the project. HCG provides managed services and software to help you bring your project under control. Facilitation and team development. In the key areas of running process centric change and projects in the organization, the ability to facilitate change is often the difference between success and failure. HCG provides leading consultants who can help effect change in the organization through the use of workshops which ensure results are gained with concensus, quality and sustiainable results. Our ability to blend into the culture and values of your organization while adding value and ensuring change will occur is a key differentiation of our firm and our people.